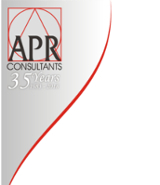 For more than 30 years, APR Consultants has built a reliable reputation providing strategic advice for private and public sector organisations. Working with a wide range of companies, entrepreneurs, government agencies, industry bodies, trusts and iwi groups throughout New Zealand, APR Consultants' research and analysis helps bring clarity to the business environment and confidence to move forward. From feasibility studies and economic impact assessments, to marketing strategies and community outcomes consultation, APR Consultants' cross-disciplinary approach combines the strengths of key skill sets to provide high quality analysis and advice to achieve clients' objectives. To complement our specialist services, APR Consultants retains an in-house research unit to undertake primary and secondary research which provides a broad foundation on which to guide strategy development and identify potential obstacles. Our extensive experience and specialist skills help ensure you achieve your goals and build a firm foundation for your organisation's future. Contact us now toll-free on 0800-277-937 to find out how we can help you make a difference. APR Consultants works all around New Zealand, and endeavours to use Skype video-conferencing to help keep client costs low. Skype allows free phone calls and video calls over the internet and is free to download. For more information, visit Skype.